PhilHealth has recently introduced the new design layout of the PhilHealth Number Card that is currently being released to the employed and individually paying members per PhilHealth Circular No. 11 s-2010. The major difference is that the new design is now being recognized as a valid PhilHealth ID thus the name has been changed from PhilHealth Number Card (PNC) to PhilHealth ID Card (PIC). A Letter of Authorization will be required if you will be designating a representative to receive the re-issued/replacement PIC on your behalf. Attach a photocopy of your ID and the ID of your representative to the Letter of Authorization. PhilHealth may also require you to present the actual IDs used for verification. Submit your request to the respective PhilHealth Regional Offices (PhROs), Service Offices (SOs) or PhilHealth Member Assistance Center (PMAC). Bring a valid ID. Normally you can just wait for the ID to be issued to you when you submit your request. However, your waiting time would depend on the number of persons that are transacting with PhilHealth at the time you submit your request. Addendum: If you are looking for information on the new I-PhilHealthy Card with privileges and discounts, read this post. good morning im joann lamoste panu po b iclaim ang # ng phil health sa privious work ko po sa paranque.. panu po un sa paranque branch po b ako pupunta. Hi joann, pwede ka mag-request ng PhilHealth ID Card sa kahit na anong branch ng PhilHealth. hi good afternoon, i'm jocel pwede ba mag request ng new lay out ng id ng philhealth? kahit na mayroon na akong id. ano ang kailangan kung gawin? Yes, you can request for a new one. Kailangan mo lang magsubmit ng request letter at baka kailangan isurrender ang dati mong id card. Attach mo na lang sa letter. Hi, you can immediately prepare a request letter and inform them of your full name and date of birth. PhilHealth can search for your PIN and issue you the ID upon presentation of any valid IDs. would the company request for the new phic id card of the employees?what are the requirements? good pm, i am a voluntary member in philhealth. I would like to have a new philhealth ID with pic.. kc po yun sa akin ay old pa without pic at di pa po siya sira, pwede ba ako magrequest kahit di pa siya damage? Nag inquire ako dito sa cavite branch wala pa daw sila ng new ID .. saan po kaya pwede mag apply.. thanks for ur help. - the PIC of the employees is automatically being distributed to the employers upon registration of their employees. It is the initiative of the employer to formally request for the re-issuance of the new PhilHealth card of their employees. - hi, kung wala po available na new ID ang cavite branch, pwede nyo po i-try sa may Makati Service Office or sa DAP building sa may Crossing or check ninyo ung mga branches dito sa link: http://philhealth101.blogspot.com/2011/04/ncr-directory-of-philhealth-offices.html. maaari kayong magrequest ng bagong ID, pero para mapalitan ang inyong apelyido, kelangan ninyong magpa-update ng record sa PhilHealth bago magrequest ng ID. Fill-up po kayo ng PMRF at i-attach ang inyong marriage contract para mapalitan ang inyong civil status at apelyido. hi, ini-isyuhan po ng PhilHealth ID ang lahat ng miyembro ng PhilHealth. Before po kayo ma-isyuhan, dapat registered kayo sa PhilHealth. Kung kayo ay may PhilHealth Number na, pwede kayong mag request sa alin mang PhilHealth Office para sa inyong PhilHealth ID. hi pwede ko po ba mkuha ung philhealth no. ko online thanks! @katkat, sa ngayon wala pang online facility ang PhilHealth para makuha ang iyong philhealth number. Maaari kang tumawag sa call center para itanong ang iyong PhilHealth number. Ikaw ay tatanungin ng mga personal na impormasyon tulad ng iyong buong pangalan, kapanganakan at iba pa para matukoy ang iyong PIN. nasa abroad po ung husband ko at manga2nak po ako etong august. sabi po sa hospital, kailangan ko daw po kumuha ng MDR ng asawa. makakakuha po ba ako kahit walang authorization letter mula sa asawa ko? knkaltasan ako ng philheath khit s dati k png trabaho at ngyn s bago k pero d k alam philhealth # k & wala rn akong ID pano ako mgkkroon? Q#1: Ang authorization letter ay inyo ring proteksyon para di makukuha ang inyong pribadong impormasyon ng sino man. Kaya't mas makabubuti po na kumuha kayo ng letter sa asawa ninyo. Sa amin pong pagkaka-alam ito ay kailangan upang makapag transact ang representative sa PhilHealth. Q#2: kung kayo po ay employed, ang employer po ang magpapa-rehistro sa inyo, kaya't pwede kayo mag-followup sa inyong employer para sa pag process ng PIN at pagkuha ng inyong ID. Kung kayo po ay kusang magtra-transact sa PhilHealth, kelangan nyo po i-attach and ER2 (galing sa employer) sa inyong registration form o PMRF. pano po b pg s PNP ngttrabaho?knino pwede mlaman ang philhealth # & knino kkunin ang ID? @Anika, related po ang tanong ninyo sa response ko sa Q#2. sa employer po kayo magfo-follow up ng inyong PIN at PhilHealth ID dahil sila po ang nakikipag-usap sa PhilHealth para sa employees. good morning. I'm the accounting assistant of our company. Some of our employees lost their id. Is it necessary to get each of them an affidavit of lost w/ the request letter? Q1: To be sure, you can ask for the affidavit of loss from affected employees and prepare one request letter reflecting all the affected employees (PIN, name and birthdate) and submit to PhilHealth. Q2 Ericka: you can inquire for your PIN by contacting the Call Center. If you don't have it yet then register first with PhilHealth. You should use your PIN when paying your contributions. There is no fee for the PhilHealth ID as of the current. Q1: Pag na-employed ka na, ibigay mo sa employer mo ang iyong PhilHealth number para mareflect nya agad sa remittance report. Kelangan mong mag fill-out ng PMRF para ma-update ang iyong impormasyon. Ang employer mo ay gagawa ng ER2 (certify nya na employee ka nya) and attach ang iyong PMRF. Ito ay isu-submit sa alinmang PhilHealth office para i-update ang iyong profile to employed. Q2: Pwede nyo po tignan ang resibo galing ospital kung na-deduct na ang PhilHealth benefits ninyo. Kung na-deduct na wala na po kayong tatanggapin na check galing PhilHealth. Maaari niyo rin tignan ang ipapadala sa inyong benefit payment notice para malaman kung tama ang nadeduct sa inyo ng ospital at doctor o kung may icla-claim pa kayo sa kanila. Yes, pwede ninyo ituloy ang contribution nya starting sept 2011 para di magkaroon ng butas ang kanyang hulog. You can check the following posts for info. Hi tungkol po sa ID card. Can the HR of the company request for the issuance of new Philhealth ID card for its employees? If so, what documents should be submitted? Thank you. PhilHealth may need a request letter along with the list of your employees that will be issued PhilHealth IDs. Indicate the PIN, full name and date of birth of each of your employees. hello i want to know how will i be able to request for an mdr ASAP its for my dad he's on dialysis and he needs it my brothere renewed hi ID kasi so sabi that will serve as mdr pero hnahanapan parin kame mdr kahit pinakita ung ID why is that? qustion 2 what to i need to get the copy if my dad is unable to sign a letter ? PhilHealth is requiring the MDR for payment of reimbursement of providers which is why they are requesting you to get it. You would need a request letter, two valid IDs of your father and the person claiming the MDR, you may also bring your birth certificate to establish your relation with the member. My question is, are the procedures above applicable for first time applicants for the Philhealth ID? As I understand, those are for ID renewal. Hi, Siomai. Normally when you register with PhilHealth they will issue your PhilHealth ID Card (PIC) and provide you a copy of the Member Data Record (MDR), immediately for direct registrants or through your employer, sponsor or organized group. Members that have not yet been issued their PhilHealth ID can still follow the steps and general requirements such as the request letter and a valid ID as well as requirements for representatives that will claim the PIC. Good day! I would like to ask to whom I should address my letter of request for my PhilHealth identification card. I have been a member for several years now but I have not gotten my ID. I believe I am to submit a request letter and a valid ID. hello po good eve... ang father ko po ay above 60 years old at idadagdag ko po sya bilang dependents. ngayon po kailangan pa po ba ng birth certificate ng father ko? at wala po syang birth certificate sa nso. maliban po sa birth certificate ano pa po bang ibang requirements para don sa father ko para m i dagdag ko sya bilang dependents? @jeanette: you may provide any proof attesting to the date of birth of your father. Probably an ID or passport with date of birth. @anonymous: Yes, you can use the PhilHealth Number (PIN) assigned to you once employed. Simply inform the employer of your PIN. Good day! I would like to ask if i can still continue my philhealth contribution since i am no longer employed.. What requirements should i present? Hi! Pwede ko po ba bayaran ung mga months na na-skip ko sa pagbabayad ng philhealth contribution pag tinuloy ko ang pagiging member ko? Salamat po. Hello! I'd like to ask if I could still apply for a PhilHealth ID even if I have not been an active member for 3 years now? I have been unemployed and would like to update my payments by paying voluntarily once I get my ID. Thanks in advance! Hi, yes you can still request for a PhilHealth ID, (picture shown in the post) to any PhilHealth office near you. Kindly update your membership profile/record by accomplishing a PhilHealth Membership Registration Form (PMRF). You may also pay your quarter premium payment in the PhilHealth Office once you request your ID. gupm. I'd like to ask,when will be the schedule of Urdaneta,Pangasinan branch in renewal of Philhealth id.I heard this sept.but I forgot the date? Is there any validity period in using the new card?why? 1st Question: If you are referring to the news on the new PhilHealth card with discounts, yes you are also qualified to have one. We'll try to post more info as to the card with discounts as soon as we have the details. 2nd Question: We have forwarded an inquiry to the concerned PhilHealth office and is awaiting response. You may also directly ask them through the Urdaneta Service Office with number (075) 568-1111 or (075) 656-2030. If there is a validity period in the IDs to be released, then you might be included in the Sponsored Program where premiums are being paid for by the government or private sponsors. I am so appreciative of how quick your replies are regarding member inquiries. I hope every government office would have the same patience and initiative you guys have. More power! hi..tanong ko lang po kasi my philhealth id na po ako but without pic. pa po...pwede po ba ako mag-aaplay uli ng new philhealth id with pic. my babayaran po ba ako? at ano ano po ang mga requirements sa new philhealth id? kahit anong branch at araw po ba pwede kumuha ng new philhealth id..salamat po.. The card loaded with discounts is known as an I-PhilHealthy card which is different from the PhilHealth ID card being released by PhilHealth. We will be posting an article on the I-PhilHealthy card. panu po maggawa ng request letter para sa pagkuha ngg philhealth id at MDR? matagal n po akong member. pde po ba irequest ung philhealth no by phone? you may try contacting the call center and they will ask for your personal information. Ano po ba ang requirements sa pag kuha ng Philhealth ID, i have my MDR already. which is binigay po ng employer ko,. I need philhealth id po kc if ever po ba na kumuha ako ng Philhealth ID on monday morning ma iisue po ba yun on that day???? PhilHealth has released an advisory stating that employers shall be the one to facilitate the issuance of the PhilHealth ID and MDR. You can coordinate with your HRD or the office in charge in transacting with PhilHealth. If you will be getting the PhilHealth ID on your own, the time it would take to obtain the card would depend on the queue but will be issued upon requesting. Just provide a letter of request and present a valid ID to claim your PhilHealth ID Card. ..gud pm..ask kuh lang puh kung panuh kuh makakakuha ng philhealth card ?? 40 na puh akoh at individually payer ako..gustu kuh puh sanah makakuha ng card ?? panuh puh kayah un..
..saka onething panuh puh vha ung pag aavail ng discount nun nakita kuh kaxe sa news ipapakita lang ung card tas makakadiscount nah..san puh vang drugstore un pwede..taga silang cavite puh akuh..merun puh vah dtung drustore na makakadiscount ako..saka ilang percent un ??? panu po malamanang account n self employ tapos pinatransfer sa employment sa trabaho. kasi nagpa verify ako s philhealth self employ parin ang account ko tapos di nabago yung last payment na quarter..
para ma-change ang iyong category ang iyong employer ang usually nagfafacilitate nun. Provide them a fully accomplished PhilHealth Membership Registration Form (PMRF) at ia-attach un sa ER2 na ibibigay ng employer mo sa PhilHealth. In turn iu-update naman ng PhilHealth ang record mo as employed at naka reference sa iyong employer. Ang PIN ay ang inyong PhilHealth number. Sundin lang ang nakalagay sa post para sa pag-issue ng inyong ID. HI...may other way po ba para makuha kaagad ng employer ang updated MDR ng mga employees? gud pm po. ask ko lng po kung panu kumuha ng philhealth at saan thank you..
Ang isang pensionado po ba ng SSS ay pwede pang magtrabaho dahil qualified pa siya at tungkol naman sa philhealth, pwede pa siyang magpatuloy ng remittances na ihuhulog ng pagtatrabahuhan niya? Good morning Sir/Madam, gusto ko pong maging lifetime member ng philhealth, paano ko po maaavail ito at paano ko malalaman kung gaano pa ang aking obligasyon sa kakompletuhan ng aking remittances para maging lifetime member? Matagal na po akong may philhealth number at tuwing aalis ako ay nagbabayad ako sa POEA, ang mga naibayad ko po ba bilang member ay applicable pa hanggang ngayon? Patulong naman po para sa kaliwanagan ng aking gustong malaman. Q1: Maaari ninyong kausapin ang Membership Section ng PhilHealth office kung paano mapapadali ang pagkuha ng MDR para sa inyong mga empleyado. Q3: Sa ngayon po ay ang PhilHealth office lang ang pwedeng mag-print at issue ng PhilHealth ID Card. Wala pa pong nai-release na policy ang PhilHealth na nagsasabi na nagbe-benta sila ng specific printer para sa pag-print ng ID. Ang PhilHealth ID ay di lang po sa printer nagba-base dahil ginagamitan ito ng systema ng PhilHealth na hindi ino-offer sa public. Q4: Sa PhilHealth, ang isang miyembro na pensionado or napapabilang sa Lifetime Membership category ay pwede pang magtrabaho at makakaltasan ng kaukulang kontribusyon hanggang sa ang miyembro ay empleyado pa.
Q5: Para maging lifetime member, dapat ikaw ay nasa retirement age na at may 120 months na hulog sa PhilHealth. Para maging lifetime member, kailangan mong magpa-amend ng iyong profile to Lifetime Member at magpasa ng mga dokumento na nagpapatunay na ikaw ay isang pensioner na. Kukuha kami ng mga detalye at i-po-post namin sa blog sa mga susunod na araw. gudam po.. 3 quarters na po akong nakakabayad pero wala pa po akong id ng philhealth. paano ko po ba makukuha yung id? ska kung may dadalhin pa po bang mga requirements pra makuha na yung id? follow up question lng po. thanks! pwede ka kumuha ng ID, pareho lang ang requirements dun sa blog post. mag request ka lang sa kahit anong PhilHealth office malapit sa iyo. magandang umaga po..ask ko lng po kung pwedi po ba na ako ang mag renew ng philhealth ng kapatid ko po na ngayon ay nasa abroad? maaari kayong magtransact sa PhilHealth para sa kapatid ninyo kung kayo ay binigyan ng Special Power of Attorney (SPA) or authorization letter ng inyong kapatid. Maaaring kailanganin din ng photocopy at ipakita ang dalawang ID ng iyong kapatid. gudpm po. meron na po akong id, ask ko lng po kung san pwede magbayad ng hndi na pupunta pa ng opisina nyo? slamat po. kung ang patient ay na-confine na po bago ang bayad, possible po na hindi magagamit tlaga ang PhilHealth benefits. Anong date po ba na-confine at anong date nagbayad and mga period na binayaran? i am ofw in jeddah..my mother was confined in hospital in my province..my problem is that,,i don't have pin no. since every year when i spent our vacation..we paid the ammount of 900pesos philhealth membership that is combined together in the oec certificate..my question is,,how can i get my pin no.since i'm here in jeddah already..my suggestion is ..it is better for us ofw if a philhealth personel will be assign at poea processing center to issue the philhealth pin no..right away...thanks..
ano po ba ang required na background color para sa philhealth ID? Thanks. Q1: You may email owp@philhealth.gov.ph to inquire your PhilHealth Number. We presume that you have already been registered although your PhilHealth ID might not have been mailed to you. You may provide a relative an authorization letter to transact with PhilHealth on your behalf. 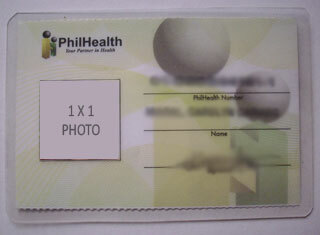 Q2: As far as we know, there is no specific background color being required by PhilHealth for your ID picture. to claim my father's refund..
coz he's not fully recovered from his operations..
Good PM taga Commonwealth po ako. dito po sa amin sa commonwealth market may mga nag pa process ng application for philhealth ID. Ph100.00 po ang bayad sa new member at Ph80.00 naman daw po sa Dati ng member. Mga lihitimong empleyado po ba ito ng philhealtn di po ba ito mga ng momodos lang? Q1: You would just need to specify in your letter that your father is authorizing you to transact with PhilHealth and claim the refund. If this is a check payment named after your father, you would need to provide an authorization to encash the check. Q2: Ang PhilHealth ID ay wala pong bayad, ang meron ay ung privilege card na maaaring makuha sa SM or bayad center. Para mas maka siguro dun na kayo sa SM or bayad center magavail ng privilege card worth Php50.00 lang. Hi, ask ko lang po, di ko na po kasi alam yun philhealth number ko dati, pwede ko ba malaman yun sa call center ng philhealth? thanks. yes, maaaring sabihin sa inyo ang iyong PhilHealth number pagkatapos ninyong sagutin ang mga tanong for verification. Hi. Ask q lang po.Kc kare-resign q lang sa work ngaung year. Hindi ko po alam ang philhealth number q. Pde q po ba ito makuha ng diretso sa philhealth office na malapit sa amin. Anu ano po ang mga requirements para makuha anh philhealth number? Mabilis lang po ba ang proseso? Hi. Ask ko lng po matagal na po ako nagbbyad ng Philhealth ko po and updated nman po siya..paano po ako mkkkuha ng New I.D?? at ano po ang mga requirements po..at tga dasma po ako..pwede po ba ako kmuha ng New I.D ng Philhealth in any branch?? @anonymous: yes, pwede ka magtransact diretso sa PhilHealth para malaman ang iyong PhilHealth Number. Maaari ka na ring kumuha ng iyong PhilHealth ID Card kung wala ka pa nito. Kailangan mo lang magpa-update ng iyong profile sa kanila, fill-up at i-submit mo ang PhilHealth Membership Registration Form (PMRF) at request letter para sa ID sa kahit na anong branch ng PhilHealth. Saglit lang ang proseso ngunit depende rin ito sa dami ng tao. @Grace: Maaari kang kumuha ng ID sa kahit anong branch ng PhilHealth. Mag-bigay lang ng letter of request at PhilHealth Membership Registration Form (PMRF) para ma-update ang iyong profile. Di na kailangan i-report ang iyong contribution, pero mas maganda kung itatago mo ang iyong resibo kung saka-sakaling ito ay kailangan ipakita for verification. PhilHealth gud day po! i was a member since 1999 till 2003 kaso nakalimutan ko ang ID No. ko at nag stop ako ng hulog nung pumunta ako ng Taiwan.. ngayon nag self-employed ako starting 2007 at binigyan nila ako ng ID pero di ako sure kung eto nga ba ang ID Number ko noon nung nag work pa ako sa Manila, possible po bang ma retrieve ung ID ko noon or possible din po bang magkaroon ako ng pangalawang ID? kasi nung nagfill-up ako ng Form di naman sila nag ask sa akin kung may luma akong ID dahil hindi ko na naisip ung dati kong company eh..
Kung hindi updated ang record mo nung time na nabigyan ka ng PhilHealth Number, maaaring nabigyan ka ulit ng bagong number. Pwede mo coordinate sa PhilHealth and inform them na dati ka nang miyembro at kung sino ang dati mong employer. Kung makikita mo sana ang iyong dating PhilHealth number, mas madali sa PhilHealth na i-consolidate ang iyong record. Oo, kahit sino ay pwedeng maging PhilHealth member. Ikaw ay mapapabilang sa Individually Paying Program. Magpunta lamang sa pinaka-malapit na PhilHealth office sa inyong lugar at isulat ang mga kailangang impormasyon sa registration form na ibibigay sa iyo. pwede ba kumuha ng id ang individual payer kahit di updated ang payment mo? Sa pagkakaalam nmin ay pwede, kaso kahit makakuha ka, di mo rin ito magagamit. Mas makabubuti na ikaw ay magpatuloy ng paghulog sa iyong kontribusyon kung gusto mo iactivate ang iyong membership. pwede ba gamiting valid id ang philhealth id? saan po ba ngayon pwedi magpapalit ng new id kc last week sa ever saan po ba ngayon? Q1: as for the use of philhealth id as a valid Id, we still need to find out if it has been registered and acknowledged by other institutions. However,as far as we know, the required information present in any valid Id is present in the Philhealth id card bwing issued in any Philhealth office. hi po gusto ko lang po sana itanong kung pwede ko po malaman ang aking philhealth number dahil sa pagkakaalam ko po ay hinulugan ito ng dati kong pinapasukan na trabaho.at kung maari ko rin itong ipa-id.At kung may babayaran po ako sa pagpapa-id nito.Salamat po!!. ask po nawala phil health id ko anu mga requirements para makakuha ulit, pwede po bng mg request sa mga branches nito tsaka ndi ko kabisado yung pin number ko eh.help namn po pls..
gusto ko lang po sanang itanong kasi po kaming mag-asawa ay parehong member ng philhealth na pwede po bang pagisahin namin ang aming membership may business po sya at ako din naman ay ng-stop na work matagal na. pwede po bang i deactivate nalang yung akin tapos isama nya ako sa membership nya para isang hulog na lang? Thanks po. i have a question po. meron na po ako philhealth card kaso po naiwala ko. d ko rin po mtandaan ung # ko sa philhealth. pwede po ba na magpagawa ako ng id na ang dala ko lang eh 1x1picture at isang valid id for reference nila sa dun sa account ko. by the way my account is active-my hulog every month. id lang talaga wala ako. Q1: fill out a membership form, tapos tick mo ung for updating and submit to any Philhealth branch. Include a letter of request for the issuance of the philhealth id card which is for free. Q3:pwede po. Submit a letter for deactivation and separation certificate issued by your employer. Your spouse would need to fill out a pmrf for updating declaring you as dependent, attach marriage contract and your birth certificate. Submit in any Philhealth branch. gud morning..po ask ko lang po kung paano kumuha ng philhealth?at ano po ang mga requirements para kumuha nun?thank you. bryan, submit ka ng letter of request and attach a photocopy of a valid ID. For individually paying members, need nila ang payment ng active quarter to release the card. tanong ko lang po. meron po kasing ahente ng philhealth daw xa nagsasabi n pde xang contakin ng office namen pra po magpagawa ng philhealth id card. ung prang atm daw po un n isswipe po.. tas may bayad po ng 80php.. bago n po b tlga ang id ng philhealth? ma'am/sir, kung marerenew po ako ng philhealth ko ngayong january, kelan ko po ito pwede magamit? A new card is being issued to the members through partner companies to facilitate the registration of the members. For the employed sectors, partner companies will be providing on-site registration and card issuance. You may validate directly with PhilHealth for the actual names of the partner companies providing the service. for IPM, you can avail PhilHealth services if you have nine months within a 12month period contribution prior availment. For OFW and sponsored members depende sa nakalagay na effectivity dates at kung employed dapat may 3months within 6months bago ang availment. upon enrolment, they must meet the required number of premiums for thwm to avail Philhealth benefits. Ienroll mo sila as an individually paying member. 1. Please refer to the post. 2. Pwede mo gawin dependents ang magulang kung sila ay 60yrs old or above. Magdala ng birth certificate. 3. Ang pwede lang maging dependent ay magulang, anak at asawa. Kung ang kapatid mo ay below 21yrs old, pwede mo ipa member ang isa sa magulang mo, halimbawa ang nanay mo at ideclare na dependent ang tatay at kapatid mo. tanong ko lang po kung makakapagrefund po ako para sa ginastos ko sa maternity ko? kahit 6m0nths ko palang nahulugan yung philhealth nung 2011.tinuloy ko lang po kasi yun kc ng work po ako ng 2 years sa dati kong work meron po kaya akong ma rerefund dun?? Wala pong bayad ang pagkuha ng id kung Philhealth mismo ang nag issue.ang requirements ay matatagpuan sa post. kukuha po ako ng id ngaun lng po aq kukuha pero matagal na po akong memmber...kaso nga lng po kun kukuha po aq ng id hindi ko nmn po kabisado un philhealth no. ko..? yung program po ba ng philhealth excel format 2011 pwedeng gamitin sa 2009 na premiums kc po may backlog ako... sa internet po ba pwedeng mag download nun? Pwede po gamitin as long as pareho premium rate na nakalagay dun sa bracket na worksheet. Ask ko lang po pano ko po malalaman ang PHILHEALTH Number ng Tatay ko? na stroke po kasi siya. kukunan ko po sana sya ng ID Card, paano po kaya? salamat po. Ah ok po. Many thanks. Ask ko na rin po, ma re-reimburse po ba namin sa PHILHEALTH ang ginastos namin sa medication ng tatay namin? paano po ako mag-uupdate ng info sa philhealth? kinasal po ako last year. ano po requirements? gusto ko rin po update id ko. thank you! Submit a duly accomplished pmrf, attach your marriage contract and submit to any philhealth branch. gaano po katagal makuha ang id kapag nagpa-update ng info (change status)? tnx! goodmorning! i just want to ask kung saan ko pwede makuha ang philhealth number ko? i already have bcoz i worked before, pero di ko nakuha sa prev. company ko..
You can inquire sa philhealth call center or punta ka na lng ng philhealth at iupdate mo na rin ang iyong record. Meron sa taft ave, lrt quirino station. You can confirm sa directory ng ncr branches posted in the blog. Kung maestablish ang regularity of payment, ikaw ay mabibigyan ng 1 buwan palugit para mabayaran ang previous quarter. Ang payment for the first quarter 2012 ay due end of this month. hi mam,sir ask ko lang po, paano po yung request pra sa ID? handwritten on paper po ba? ano ano pa po mga ibang requirements? Okay lang na handwritten pero be sure na madali maintindihan para di ka magkaproblema. Ung request lang for new registrants and a valid id kung ikaw mismo kukuha. Be sure na updated ang profile mo na rin so you might also want to ask for a member data record o mdr. ask ko lang po ulet, pano po kung meron na akong philhealth number? peo membership pa lang po un, yun na po ba ung talagang ga2mitin ko? private company po kami at nagbabayad po kami ng philhealth,pro mga empleyado namin gusto kumuha ng philhealth id kelangan pa po ba ang authorization ng company o pwd nalang kumuha ang representative ng company at ano po ang kelangan dalhin na mga requirements kng ang representative lng po ng company ang kukuha? hi, meron na po akong philhealth ID kaya lng mali ang spelling ng nakalagay na middle name.. saan ko po ba pwedeng i-address ito(PhilHealth Sta. Maria?) at anu po ba ang kailangan na mga nakalagay sa authorization letter na ipapadala ko sa mother ko..Mapapalitan ba ng bagong ID? You can transact in any branch. Autorization totransact and claim on your behalf ung bagong id mo. She would need your id photocopy mo na including her id. Submit mo pmrf for updating wit attached birth certificate. this is me Angel..dati po akong employed sa isang private company.. manganganak po ako kasi ngayong august so i had to get the rf1 form of our company para malaman kung kailan ang huling hulog ko.. pero as Ive noticed mali ang spelling ng name ko.. what should i do with this po? hi! i need to update my philhealth records. i've already filled up the MDR form. can i submit these forms at any of the philhealth offices or are there jurisdictions that should be followed? hi po gud afternoon po.ask ko lng po papalitan ko kc yung first letter ng pngalan ko sa philhealth id ko..eto kc yung nkalagay sa birthcetificate ko..benencio...yung sa philhelth id ko venancio..ano pa magandang gwin para papalitan yung letter ng panganlan...salamat wating for your answer.. Submit a pmrf na tsek ung for updating tapos dun mo correct name mo and attach a photocopy of your birth certificate as reference. Q#1 gustu ko lng mlman if covered b ang mother ko ng philhealth ko as OFW?kht wla p xa 60 yrs old? Q#2 meron ksi sya sriling philhealth..mgkaiba b ung OFW philhealth ko at sriling philhealth nya anu b mas ok n gmitin? Q#3 anu b dpt ko gwin pra mgmit nla OFW philhealth ko? #2: hanggang sa maging valid dependent sya mas makabubuti i-retain na actively paying ang sarili nyang philhealth. Kung ito ay maipapagpatuloy ninya hanggang maging 60 sya pwede sya maging eligible sa lifetime member kung may 120 monthly cotributions na sya. Pag lifetime na di na niya kailangan magbayad para magamit ang benepisyo nya. #3: kailangan declared sila sa record mo sa philhealth. Makikita ito sa iyong member data record o mdr. Iwanan mo sila ng authorization lette paa makapag transactsa philhealth. Available na po ba ang card para ID sa region 10? last month po kasi, wala pa daw available na card para ID kailangan ko na pong makuha yung ID ko sa Philhealth. CDO po sa Region 10. Kung maaari po kay tumawag sa opisina ng philhealth branch kung saan kayo kukuha ng id bago pumunta para sigurado. Hindi po kami nakakuha ng data regarding sa pagbigay ng forms para sa region 10. Maaari ring magemail sa info@philhealth.gov.ph o mag tweet sa kanila. ask ko lang po kung paano ba marerenew ang philhealth ng isang member via sponsored program sa mindanao kung andito po sya ngayon sa manila at namamasukan? Hindi po eligible for the sponsored program ang miyembro kung sya ay may trabaho na dahil kabilang na po sya under the employed program ng philhealth. pwede pa po ba ako kumuha ng philhealth id card? di na po ako employed at the moment. i still have my old philhealth pin card. kelangan ko po kasi ng isa pang valid id kaya naisip ko ang philhealth id. Yes, pwede maka kuha ng philhealth at magregister online. Kailangan mo lang indicate ang guardian mo para mai process ang iyong application. pwede po b ko magpamember s philhealth kht isa po ako s beneficiary ng husband ko? Yes, maaari kang maging individually paying member kung gusto mo magkaroon ng sariling coverage meaning pwede mo gawing dependent ang iyong mga magulang at icover ang iba ninyong anak. Ito ay usual ba ginagawa para ma maximize ang benepisyo ng Philhealth. Yes, pwede po. Magsubmit ng pmrf at ilagay ang detalye ng inyong anak. I attach ang kanyang birth certificate pati ang sa inyo upang ma establish ang inyong relation. Goodmorning.Can u please provide us the PNP-NCRPO Philhealth Number. Thanks. Kindly address your request to Philhealth's email address info@philhealth.gov.ph. Elow po may problem po kc ako na sendong po kc kami and I lost all of my Valid Id's I don't have any philhealth ID pero may MDR ako pero nawala cxa nung kasagsagan nang bagyo ano po bah ang way para makuha ko ID ko kahit na wala akong number? Submit a request letter for issuance of the Philhealth idat mag attach ng filled out pmrf para maupdate ang inyong profile sa philhealth. Ang pmrf din ay makakatulong upang matukoy na kayo ay existing member na. Hello! gusto ko lang po itanong kung ano requirements pahgkumuha ulit ng philhealth kasi po ung philhealth id ko po nawala. Thanks. Ang requirements for lost philhealth id ay matatagpuan sa post or article sa taas. Hello po..i just want to ask paano po ba pag like ng asawa n ipaunactivate ung philhealth ko.Kc like po nya me lagay s benifciaries nya.Nd n po me ng work ngayon.Member me ng philhealth since 2003.Nksal n po me at like ng aswa me n iactivate ung philhealth ko.Hindi ko ngalng po alm ang philhealth # ko.Paano po b ang Process ng ganun? good day... ask ko lang po, as an employer maaari bang kami mismo ang kukuha ng new IDs ng aming employee? or ang mga employees pa namin mismo ang kukuha ng kanilang mga ID sa Philhealth office? ,gud day po, im currently on leave sa work, pwede po bang ako na ang mgtuloy ng contribution ko, ano na po ang magiging category ko nun?,.at panu po mg-update ng mga dependent? my philhealth n aq self-employed kso wala pang id.. pano poh kukuha??? at pano poh ba ang gagawin n eh change ang membership to empoleyed c ngtratrabaho n aq..
hello. is there any payment for requesting for the new ID? Hi. where is the nearest branch that I can get my philhealth number and ID? Im from Marikina, Thanks! hello po ask ko lang po kung may bayad ba kapag po kumuha ng philheath? xaka san po may malapit na philheatlh i am currently residing at sto. domingo quezon city corner quezon ave. thank you po. makukuha ko pa po ba yun ? What is Sufficient Regularity of Premium Payment?